The event consists of exhibitions, symposia, lectures and workshops. 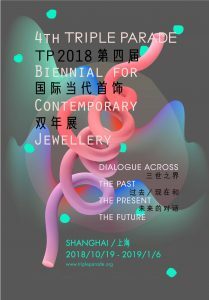 The Triple Parade comprises four sections: Intimate Encounter, Like Attracts Like, Arty Game, and Viva La Different, and will display 500 pieces of artworks created by nearly 300 artists from 34 countries and regions. 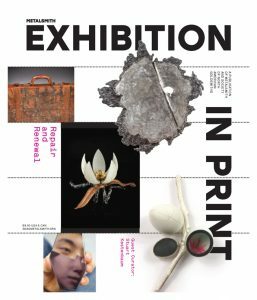 Learn more about the Exhibition in Print. 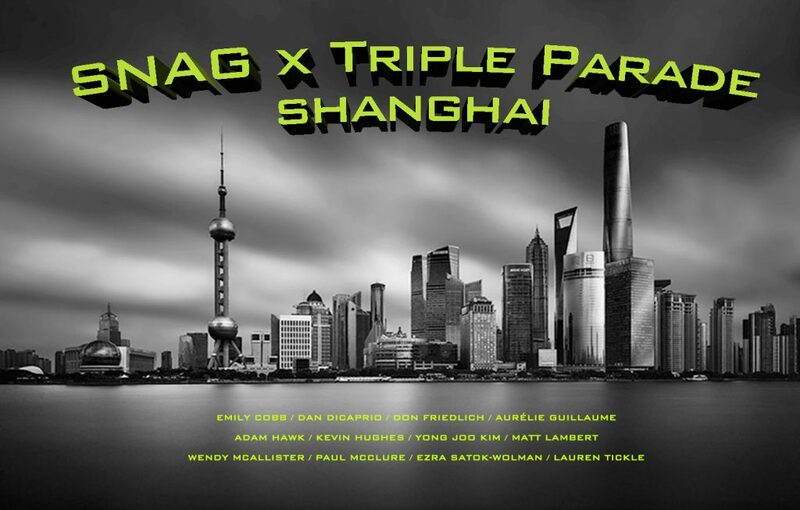 The fourth juried member exhibition in the WE ARE SNAG series. History has inspired artists for thousands of years. Rather than simply borrow imagery from the past, this exhibition asked artists to engage deeply with historical appropriation. Juried by Michael Dale Bernard (UW-Milwaukee) and Emily Stoehrer (MFA Boston). Michael Dale Bernard’s practice developed in the urban sprawl of Los Angeles. He received his BFA in Metals from the University of Illinois in 1999 and his MFA from California State University, Long Beach in 2007. He joined the faculty at UW–Milwaukee in 2012 where he is currently an Adjunct Assistant Professor in metal, jewelry and digital fabrication. Do you have a topic for the next “WE ARE SNAG” online exhibition? We’d love to hear it! Email us. The 2017 Halstead Design Challenge “Memento” asked artists to incorporate a photo into a brooch constructed primarily from materials in the Halstead challenge kit. 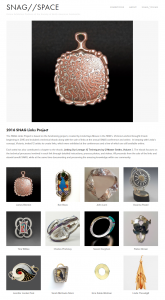 A juried selection from all entries was exhibited at RHINO Contemporary Crafts Gallery during the SNAG New Orleans conference in May 2017. Seventy-one brooches are on view in our online exhibition. The SNAG Links Project was originally conceived of and coordinated by Linda Kaye-Moses from 1996-2001. In this project, Linda invited 12 artists to create a link (a pendant-like adornment) utilizing their unique skill-sets. The pieces were documented, then donated to the annual conference silent auction. Victoria Lansford revived the project in 2015, with the links displayed at the 2015 and 2016 SNAG conferences as part of the silent auction. In keeping with Linda’s concept, each year Victoria invited 12 artists to create links. Each link was auctioned individually at the conferences.